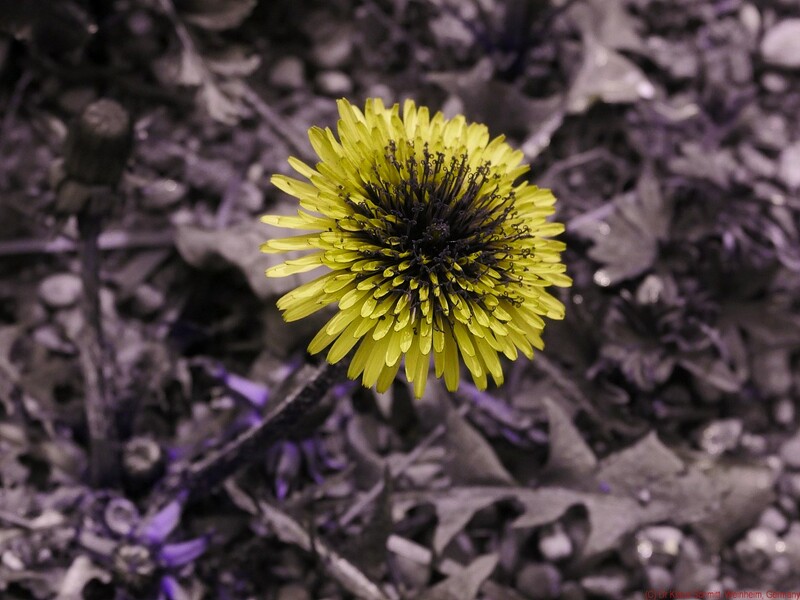 Today about a common spring flower a Dandelion - Taraxacum officinale in reflected ultraviolet photography and simulated butterfly and bee vision. Lens was a UV Nikkor 105mm quartz fluorite lens. 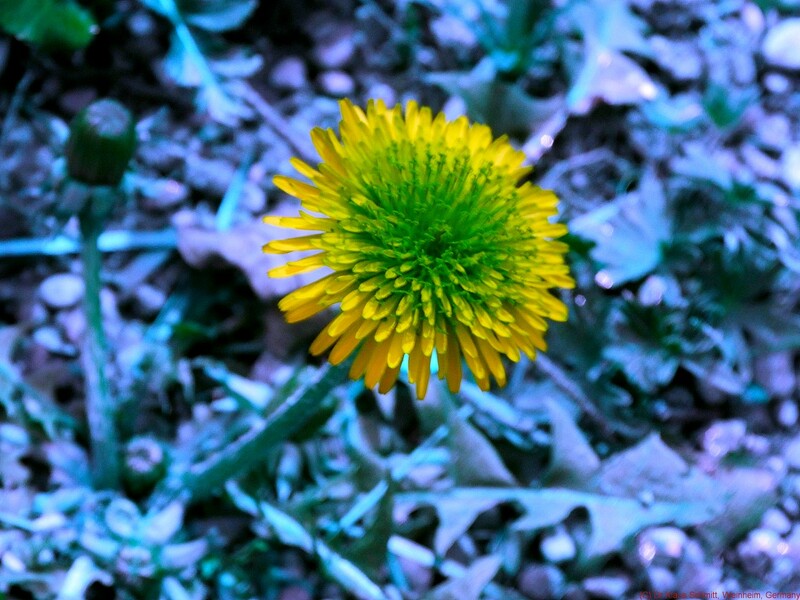 This Dandelion flower has quite a prominent UV pattern, its petals are UV bright around 365nm, its center is UV dark, especially the anthers, and this gets quite nicely visible also in simulated bee and butterfly vision. Your work always gets me thinking about the investment the plant makes in this decoration! The UV has the most drama. I wonder if we know anything about the different investments and payoffs by going with one color and not another. The color might even be incidental. 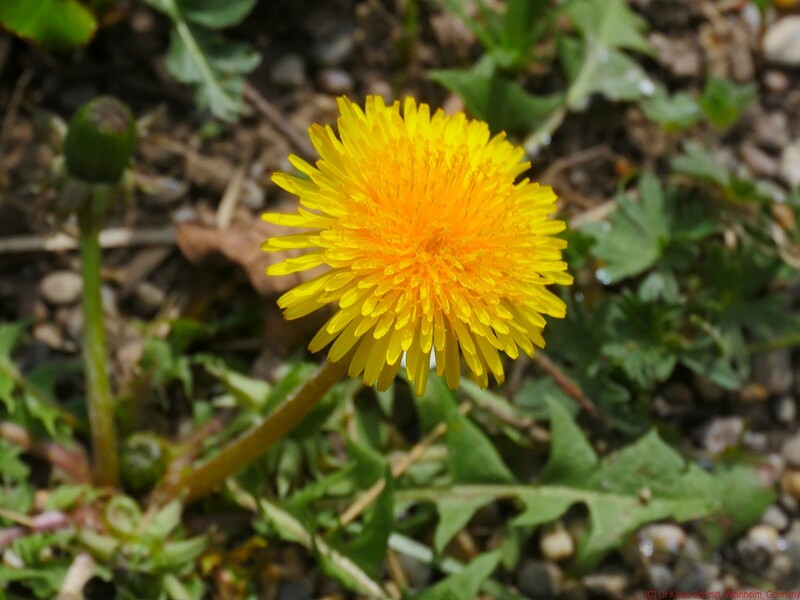 For example, if the petals are spiced with some some chemical which fights destructive insects, perhaps the pretty colors we see are just the waste products of the synthetic pathway! Thecreasons girls might wear seductive clothes is merely because they are comfortable and fashionable, not because they arouse our passions! I don’t believe it, but it could be so! but still a lot is lacking that we don't know - yet. If we knew everything, life would be boring and we’d have no jobs as scientists! 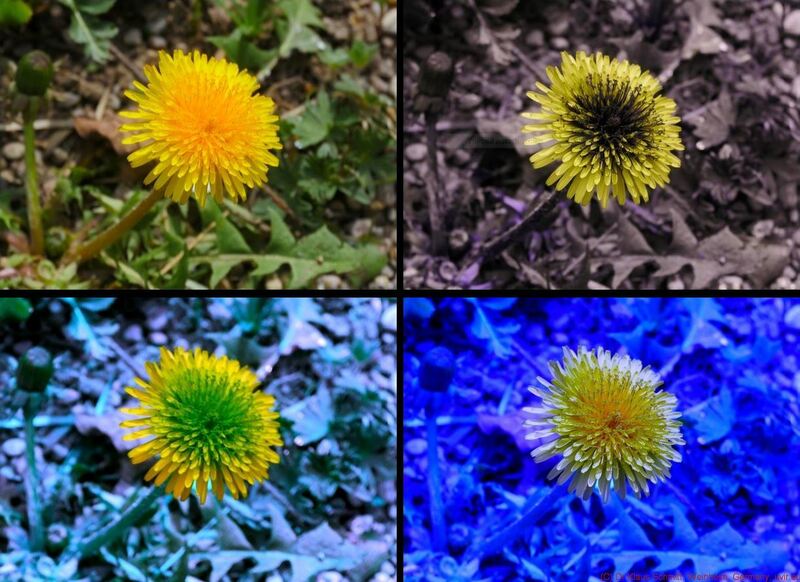 A naive question: since it is illuminated with UV, am I right in assuming that the second picture (UV image) is the fluorescent pattern of the petals as recorded on a visible-light sensitive sensor? These pictures, besides being a real treat to humans like me, are also very intriguing to think that nature evolves its colour schemes with definite aims. Thank you for sharing such beautiful images. Thank you, glad you like my work! No, fluorescent UV imaging is inducing visible light be using UV as a stimulus. My work is REFLECTED UV, i.e. 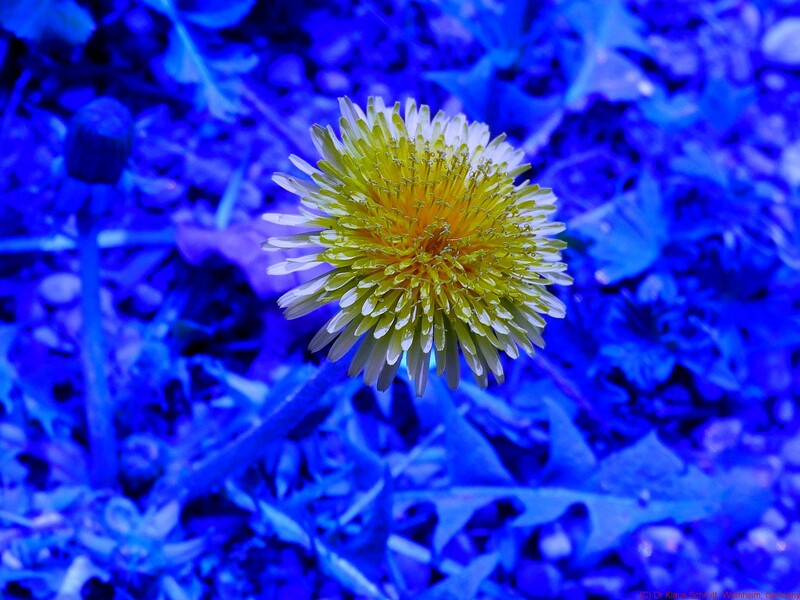 invisible UV light is being photographed (2nd image) using a modified camera but the colors you see are false colors (like NASA uses for their imaging). The simulated Bee and butterfly imaging uses UV + visible light, but also is partly false color imaging, as colors are mapped into our (limited) human color range.